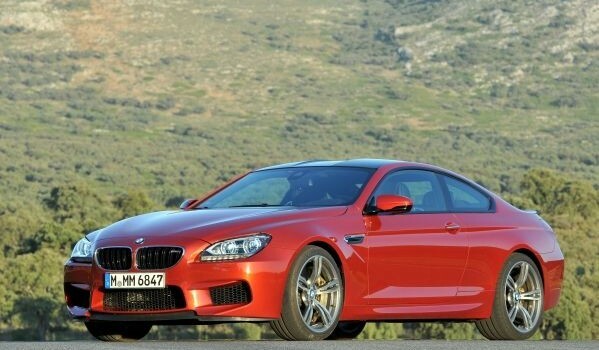 The M6 is on the verge of being “out there,” with its 20 inch M light alloy wheels, carbon fiber roof, quad exhausts and air intakes that can swallow a small village. Because of all of these performance items, this is not an understated coupe. Yet, all together, the look works, without the risk becoming boy racer-looking. 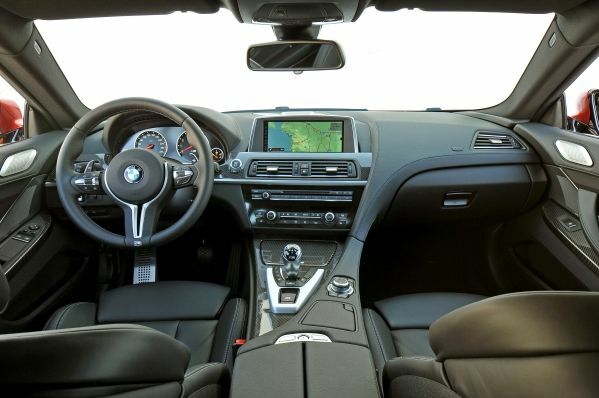 Once inside, the interior captivates you, with the sumptuous double stitch leather and simple yet elegant layout, the M6 mixes elegance and performance quite nicely. The thick rimmed steering wheel is perfectly sized, offering the full range of switchgear one expects from a performance coupe. There is a configurable head-up display, which is a nice touch. The high-center infotainment screen is large and offers excellent viewing, regardless of the sun angle. Menu navigation is managed by the BMW I-drive system; one that takes a bit to get used to, but once you’ve fiddled for a few minutes, it does become fairly intuitive to use. One thing we always enjoy about BMW automobiles is the wonderful tactile sensation all the buttons and switchgear offer. For me, BMW is the gold standard in this area. Rear seats are more for occasional use, yet comfortable for small people or kids. Trunk is surprisingly large and well appointed. One novel trick is the backup camera placement. Can’t see it? Maybe it would be a good bar bet with your friends to ask them to tell you where it is. Surprise, it’s hidden behind the roundel emblem. BMW’s iconic emblem does double duty as the manual trunk release in addition to being the electrically operated lens cover. I love it! Touch the start button and the wonderful sound of the V8 resonates with authority. 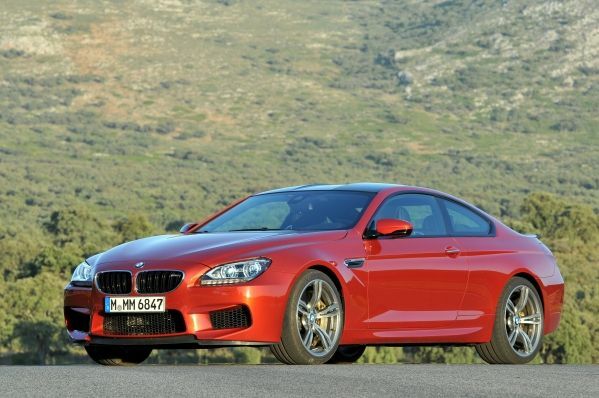 The transmission is an M double clutch system that also has a launch control feature. There is no doubt, the M6 can put the power to the ground, thanks to the incredible level of technology and engineering that is active yet hidden. Driving the M6 is an effortless experience, interestingly enough, several times I noticed that when looking at either the speedometer or the information on the head-up display you begin to doubt if the information is really true. Yes, it’s that fast and that effortless. Cornering is amazingly agile, more so considering the size of this coupe. 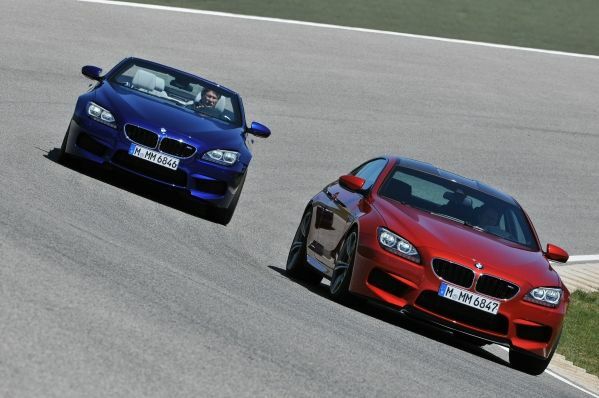 Stopping is as if the earth stopped rotating, thanks to the wondrous technology of the M Carbon ceramic brakes. Acceleration, especially when the “M” Button is used, is nothing short of breathtaking. 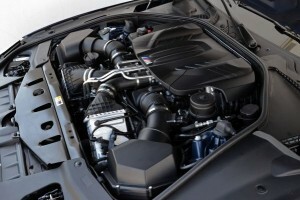 Comparables (if there are any) include: Jaguar XKR-S, Aston Martin Vanquish, Maserati Gran Turismo, Mercedes-Benz CL65 AMG and the Cadillac CTS-V Coupe. 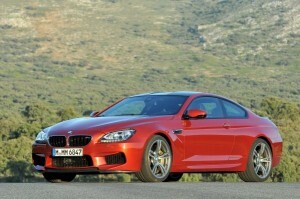 Regrettably, my one week with the mighty M6 came to an end all too quickly. The toughest part was giving back the key after one week and 500 miles of wonderful driving! 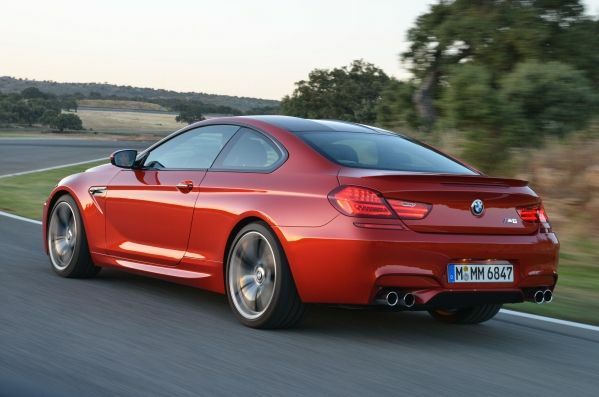 As it left my driveway, all I could think of was….The M6 makes anything else on the road seem like beige appliances. Popular Options: Black Merino leather, M Carbon Ceramic Brakes, 20” light alloy wheels, Head-up Display.